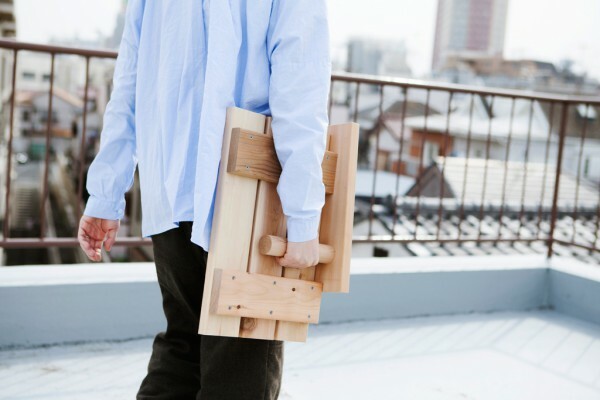 Ishinomaki Laboratory is ‘a place of creating something new’ for the community, established by designers and others in Ishinomaki, a city which was devastated by the Tsunami on March 11. 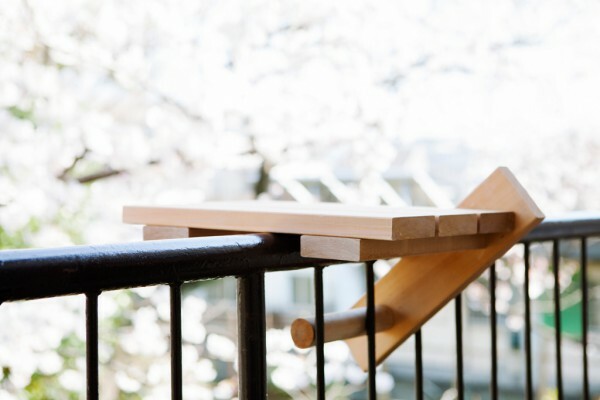 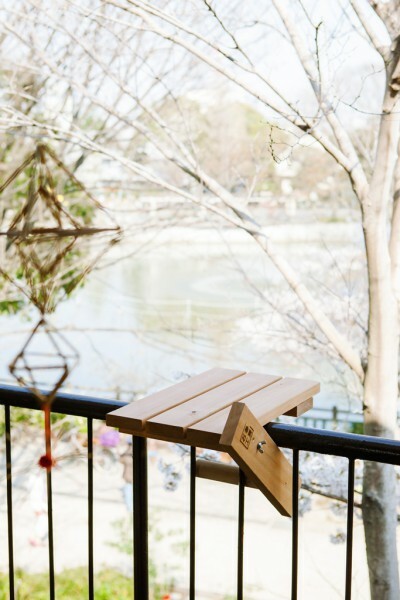 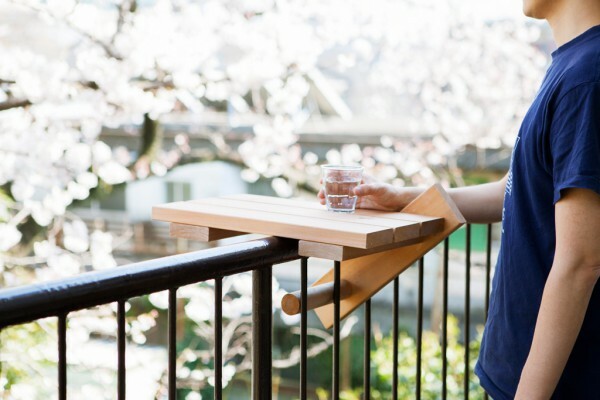 The collaboration with Ishinomaki Laboratory allowed sky-deck to be manufactured by the people of Ishinomaki, making this product commercially available. 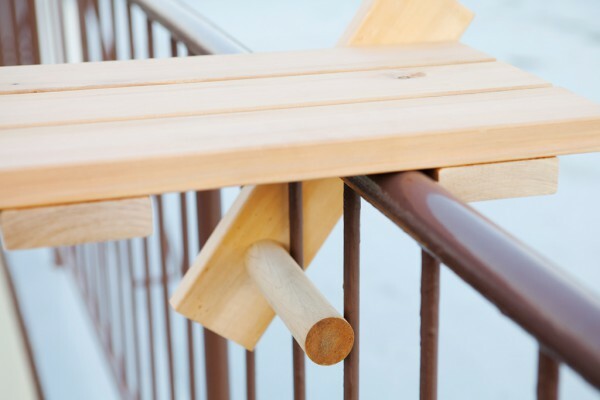 This is a small table made to hook onto handrails, and it uses just enough pieces of wood to do so. 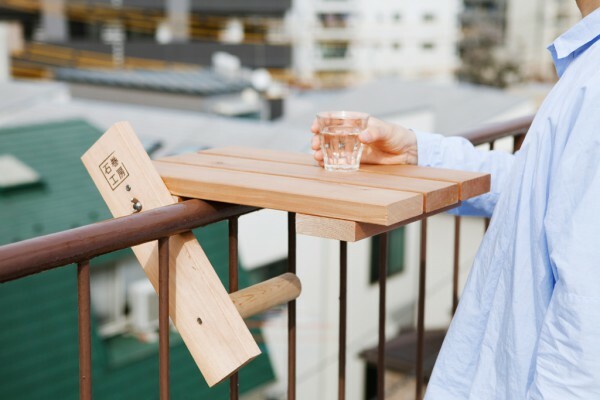 You can put your mobile phone or a radio on it while you hang out your laundry, or it can be used as a counter when you have a beer on your balcony on a nice day. 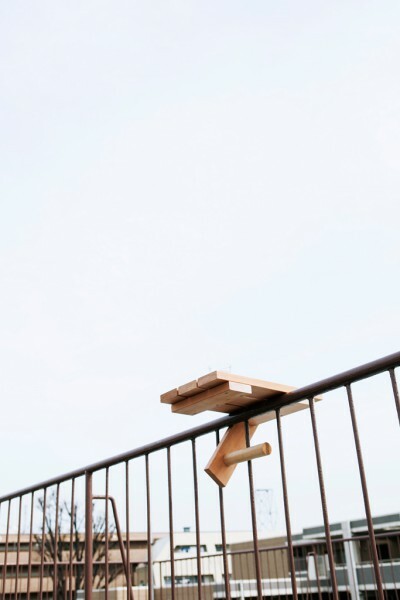 Floating in the air, sky deck stretches a narrow balcony space out by just a little bit, into the city beyond.